Happy New Year to all of you. 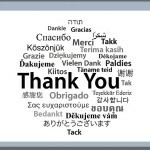 We thank you all for your readership and for the outstanding support in all our causes last year. There will be plenty more coming in this year! What better way to start the “new” year than by focusing on the “old”. In one of my earliest posts on the blog (in 2005, when sheer boredom prompted me to dabble with a blog) I had committed to bringing you an update on a famous “traditional knowledge” case involving an allegedly “divine” plant, “Arogyapacha”. I know it’s a little late in the day now (more than 2 years!! ), but better late than never. And besides, when you see the spicy update on this case, you’ll be (I hope) inclined to forgive. 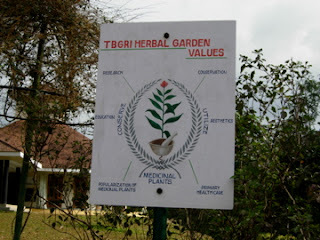 During a trip to Kerala in December, I finally visited the TBGRI (an institute closely involved with the Arogyapacha case) and interviewed a couple of folks there, including Dr George (Head of Division, Phytochemistry), Dr S. Rajasekharan (Head, Ethnomedicine) and Dr Pushpangadan (the key visionary responsible for the success of the Arogyapacha experiment–as he was no longer with the with the TGBRI, I had to speak with him on the phone). 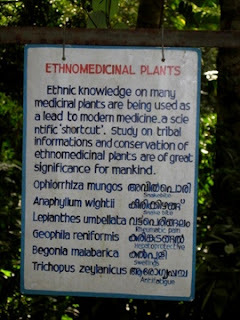 “The subject of this case study is the role of intellectual property rights in the benefit-sharing arrangements concerning the “Jeevani” drug, which was developed by scientists at the Tropical Botanic Garden and Research Institute (TBGRI), based on the tribal medicinal knowledge of the Kani tribe in Kerala, South India. “Jeevani” is a restorative, immunoenhancing, anti-stress and anti-fatigue agent, based on the herbal medicinal plant arogyapaacha, used by the Kani tribals in their traditional medicine. Within the Kani tribe the customary rights to transfer and practice certain traditional medicinal knowledge are held by tribal healers, known as Plathis. The knowledge was divulged by three Kani tribal members to the Indian scientists who isolated 12 active compounds from arogyapaacha, developed the drug “Jevaani”, and filed two patent applications on the drug (and another patent based on the same plant but for different use). 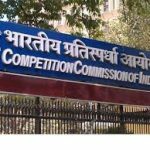 The technology was then licensed to the Arya Vaidya Pharmacy, Ltd., an Indian pharmaceutical manufacturer pursuing the commercialization of Ayurvedic herbal formulations. Interestingly, “Arogyapacha” translates to “green health” in Malayalam, my mother-tongue and perhaps the longest palindrome in the English language. Hence the title of the post–for those that are still pondering the nexus…. A succinct version of the case is available in one of Dr Mashelkar’s speeches. For those interested in digging deeper, read this wonderful report prepared by RV Anuradha, a fellow alum of the National Law School of India university. Unfortunately, the report has to be purchased (perhaps we can try and see if Anuradha can post an older version of this report on SSRN). Also, see this well researched paper by Bijoy, an independent researcher. “Last year, there were some reports of a patent/trademark conflict with a US company that was selling “Jeevani”. Again, with the media constantly conflating issues of patent/trademark and copyright infringement, it is difficult to get a sense of the precise legal issues involved. According to a report in The Telegraph, a Calcutta based Indian newspaper, this appears to be more of a trademark issue. “A US firm has raised a storm by acquiring a trademark on a patented herbal product of the indigenous Kani tribe of Kerala. Jeevani, known as the ginseng of the Kani people, is a herbal formulation famed for its anti-fatigue, immunity-enhancing and liver-protecting qualities. Widely used as a wonder drug by the tribe, it strengthens the body’s natural defences by activating the cellular immune system and enhances a host of other innate faculties. 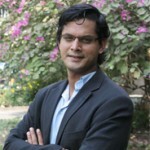 Reacting to the row, Jacob Pallathra, the president of NutriScience Innovations, Connecticut, claimed in an e-mail message that the product being marketed was purchased from Kerala and made in association with TBGRI. 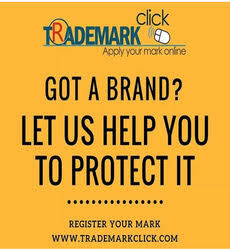 “A layperson tends to believe that the trademark registration means it is a patent. We do not have any patents on Jeevani and we respect the patent in Kerala and we are selling the same Jeevani made in Kerala,” he said. Pallathra stated that his company has been importing Jeevani through a proper and legal channel and promoting it overseas to benefit both the Kani tribe and the institute. While criticising the step taken by NutriScience, Chronicle Pharmabiz, a journal, raised questions about the role of the institute and the Coimbatore pharmacy. There you have it–lack of facts!! Since we at SpicyIP are committed to bringing you accurate information, this fact finding mission had to be undertaken! Of course, the fact that the TGBRI, (where the active ingredient of Arogyapacha was isolated and it’s anti-fatigue properties validated) was a mere 2 hour drive from my ancestral home in Kerala helped. The trip was well worth it. I met some outstanding scientists who were walking the thin line between tradition and modernity everyday–and gleaning rare insights that missed their conventional counterparts… The trip also included a breathtakingly beautiful tour through Asia‘s largest botanical garden–home to some of the rarest medicinal plants (see photos uploaded with this post–as you can see, photography is not really one of my strong points). The TropicalBotanic Garden and Research Institute(TBGRI) was established by the Government of Kerala, India, in 1979 as an autonomous body. The garden is spread over 300 acres, having 50,000 accessions belonging to 12,000 genetic variants of 7000 tropical plant species. The key aim of the Institute is in conservation and sustainable utilization of plant diversity in tropical India. However, given the international fame of the Arogyapacha case, a significant part of the Institutes activities is now directed at herbal medicines. I had the pleasure of visiting some of its outstanding labs (interestingly, they have a herbal drug for treating Psoriasis, branded “Sisairosp”–i.e. Psoriasis spelt in reverse!!). No patent was ever filed in the US to protect Jeevani or the process of manufacture!! Which means a US entity, such as NutriScience referred to in the news item refered to above is free to make a “Jeevani” equivalent and sell in the US. Fortunately, mother nature has ensured that the Kanis do not lose out in this way. Apparently, Arogyapahca grows only in the Kani tribal belt (Augustya Muni forest). Dr George, who heads the phyto-chemistry division at TGBRI informed me that despite best efforts by scientists at TBGRI to replicate an eco system close enough to the one prevailing in the Kani belt, they were unable to grow Arogyapacha. Well, not really, they could grow it–but the berries did not possess the requisite anti fatigue properties. In other words, these “red bull” berries can be sourced only from the Kanis. (Forest laws in India ensure that no other person may cultivate or harvest this berry in these forest areas). Without being supplied by the Kanis, no person can make or sell Jeevani–the lack of a patent or a trademark notwithstanding. And to think that a number of news items claimed that owing to this lack of patent protection, the Kanis were losing out heavily!! The downside of course is that production is limited and the Kanis are not able to keep up with Arya Vaidya Pharmacy’s increasing demands for more supplies of this precious berry. The fact that Jeevani is immensely profitable can be gleaned from the fact that that Arya Vaidya Pharmacy has doubled their offer of lumpsum payment (compared with the previous year). The 7 year tech-license agreement between TGBRI, the Kani trust and Arya Vaidya Pharmacy just terminated–this agreement provided for both a lump-sum and royalties based upon sales. The TGBRI and the Kani trust recently advertised for applications from those willing to license this technology for the next 7 years. Naturally, Arya Vaidya Pharmacy is still the preferred partner, particularly since they doubled the proposed lumpsum!! A key patent covering the process of making Jeevani was filed in India. Since this was applied for in 1996, a time when India did not have pharma product patents, there was no product patent. Surprisingly, no product application was filed even as a “mailbox”. Actually, not too surprising, given that the TBGRI was crunched for funds, government support was lacking and the case hadn’t yet made international waves–it was only much later that the product was launched, and “Time” and “Nature” scrambled to cover this wonderful example of benefit sharing. So one can’t really point fingers at the TGBRI or those involved for not thinking through the patent issues more carefully or seeking appropriate legal advice. But this case should certainly force us to think through optimal ways in which good legal advice can be rendered in cases of this sort–I will save comments on some possible strategies to enable this for a later post. A process for the Isolation of a Glycolipid Fraction from Trichopus Zelyanicus Possessing Adpatogenic Activity (K.K. Butani, D.K. Gupta, B.S. Taggi, K.K. Anand, R.S. Kapil, Pushpangadan P, and Rajasekharan S, , Patent application number 8/Del/94 (1994). Given the lack of patent protection for the berry or the Jeevani formulation in India, I must say that it’s very generous of Arya Vaidya Pharmacy to offer double of what they offered under the earlier license. Of course, the “technology” transferred to them from TBGRI was much more than what was merely disclosed in the patent–and without this, they may not be able to manufacture in an optimal manner. But this lack of patent protection may not deter other “not so honourable” Indian companies from raking in a quick buck. However, as mentioned earlier, mother nature has ensured that is not possible!! So lack of patents notwithstanding, the Kanis will still continue to get revenues (at the very least) for their exclusive supply of the berries. As per interviews with folks from the TBGRI, a kilogram of these berries/leaves fetch about Rs 150 (USD 4) in the market. In a year, this can be harvested twice–and each harvest yields about 200kg’s. In a year therefore, the Kanis stand to make about Rs 60,000 (USD 1500 approximately). Not an outstanding sum–but still something, given how impoverished the Kanis generally are. Arogyapacha has truly transformed their lot–now they have a school, a hospital, TV’s etc–and plenty of projects by the World Bank etc for their upliftment. They even have a conference room in the forest titled the “Arogyapacha Room!! When I reached home after my TBGRI visit, I told my dad that I had just visited the TGBRI to collect more data on the Arogyapacha case. Imagine my surprise when he exclaimed that Arogyapacha was growing right in our backyard!! Apparently, his village is also home to some Kanis and they had supplied him with the seeds. Unfortunately, the plant is still in its infancy and it will be a while before it spouts the magical berries. But if TGBRI’s trusted scientists were unable to grow this in their backyard, there was a fat chance in hell that it was going to grow in ours!! The earliest known mention of Arogyapacha is in a text dating 6th century BC titled Sushruta Samhita. Sushruta, India‘s famed surgeon of yesteryears (oops-yestercenturies rather…) interestingly called this a”divine plant”. Given that it has thwarted the plans of many a scoundrel from exploiting the rather vulnerable patent situation, perhaps he was right in labelling it so..
An uncle of mine, who happens to be a reputed oncologist with some fairly decent knowledge of Ayurveda once told me that unlike Allopathic medicine, Ayurveda could not be taught–rather, there was a certain element of “divinity” involved in the transmission of this knowledge. Unless you were vested with some of this “divinity”, the transmission wouldn’t come through!! I’m sure a number of the world’s leading pharma companies pray regularly to the “divine” for their next blockbuster drug. And perhaps some of us are blessed enough to experience the “divine” after a few puffs, sniffs or shots as the case may be (drugs of the other variety of course!!). But it seems that in Indian traditional medicine, the nexus between drugs and the “divine” is much much deeper! That’s a lot of reading for one post! So let me wind up here. Watch this space for more on the Arogyapacha case. My attempts in the follow up posts will be to use the factual matrix of the Arogyapacha case and see if we can draw up some policy suggestions for incentivising “traditional knowledge based innovation”. And don’t worry–it won’t take me two years to do a follow up on this one! Dr. Reddy: Honest and Concurrent Use? Phew! Damn long post but really, really interesting. Would be interesting to see how the Bio-Diversity Act actually operates the next time they try patenting the berries. It is really useful and intersting post. Infact, I learnt this case during my trainnig but never got any further details about it but now with this update I am getting some useful information. maintain it and provide interesting cases. As you know, the Arogyapacha model was implemented by Dr Pushpangadan and others in a policy vaccuum–i.e. we didn’t have the Biodiversity Act till around 2002. What is fascinating is that despite a policy vaccuum, the model comes very close to conforming to the lofty goals of the BD Act, namely “informed consent” of tribals, sustainable harvesting and benefit sharing. Even you had pointed to some issues with this Act in one of your posts and I recall the excellent comment by Dr Nair wherein he lamented the fact that the BD Act makes it extremely difficult to “patent” stuff based on bio-resources. And I think this would have certainly proved a problem if patents over the Arogya berries were sought to be taken out today. Not only would the prospective patentee face problems re: permission to be obtained from BD Act authority, the person would also run into problems with a key section in the patents act. Now, as to whether jeevani can be patented or not under this section would depend on how narrowly or broadly the section is interpreted. If interpreted broadly, it could potentially prevent the patent from issuing–as one would argue that the invention is based on “traditional knowledge” of the kanis. However, from a policy standpoint, such broad interpretation would be catastrophic. 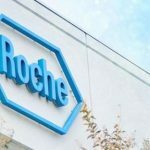 we would have some issues commercialising such knowledge (as pharma companies typically will not pick this up without the promise of exclusivity)–and our Kanis would lose out on whatever money they might have made. Further the knowledge remains stuck in that community and the benefits never reach the average consumer. Great post Shamnad! By the way do you have an idea of total jeevani market both in terms value and volums sales? Never really went through Section 3(p) but isn’t it directly contradicting the over all policy objectives of the Bio-diversity Act which is to ensure that the bio-resource owners get their dues. On the other hand a section like 3(p) is required to make sure that not everybody can go and patent TK. I think we need to be able to draw a link between TK and the community which owns the rights under the Bio-diversity Act to ensure that only the recognized communities are awarded patents. 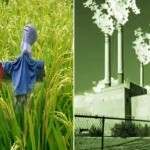 Otherwise we might itself do away with some of the provisions of the bio-diversity act. just a minute, isn’t that what the Bio-Diversity Act is supposed to do? Isn’t there some kind of permission that the biodiversity authority has to give prior to applying for patent? you’re right that the patentee has to procure permission from the bio-diversity authority, if his/her application involves bio-resources. however, the bio-diversity authority only checks for whether the bio-resources were obtained in a legal manner, whether adequate benefit sharing mechanisms were provided for etc. 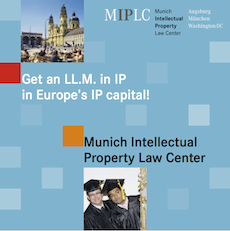 It does not check whether the application is patentable–this is best left to the patent authorities. And this is why patentability of such stuff (based on TK becomes important)., if the standard is pegged too high, then almost nothing (that uses TK) is patentable and the communities that might have gained through benefit sharing lose out. Unfortunately, I don’t have these figures now, but will try and get this for you. Has any initiative been taken for the protection of “arogyapacha” under GI Act ,1999 ? How do you pronounce arogyapacha? what 12 compounds did the scientists found?